The last few kilometres of the winding road from Podgorica to Bukumirsko Jezero (Lake) has been recently cleared of snow and debris by a small bulldozer. The lake is reached down a stony track which runs to some small summer farms (Katuns) and wooden cabins; it looked, surprisingly, quite small and dull even in the bright sunshine. 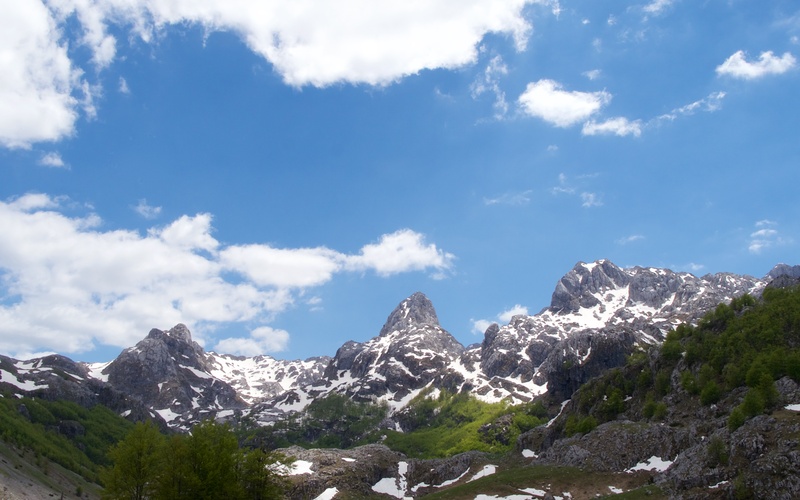 The mountains to the east were impressive and daunting and make up the heart of what is the Žijovo-Kučke Planine range. At the lake, a cuckoo patrolled the telegraph wires and called constantly. Wheatears dashed from rocks; one Isabelline and one Northern. A kestrel noisily mobbed, I think, a goshawk above a high cliff before the latter stooped fast into the beech woodland; a buzzard descended quietly to its nest on a lower crag. Ravens were about as ever but no larger birds of prey. Earlier, we did not stop to check the golden eagles; the pair is often away for much of the day when they have large young in the nest. We drove on beyond the lake and the road ran through bright green, beech woodland to a loose collection of Katuns at a place called Mokra. Some of the small fields had been ploughed in readiness for potatoes and other crops to be planted. Here the road split; left down a slushy track to Veruša with Matasevo beyond and left a snow-covered track presumably to Gusinje by way of the Albanian mountains. The mountains above Bukumirsko Jezero; according to the useful data on summitpost.org, Pasjak in the middle is 2051 m and Surdup to the right is the highest in this mountain range at 2184 m.
There was a diversity of spring flowering plants, especially on sunny, south and east facing slopes. 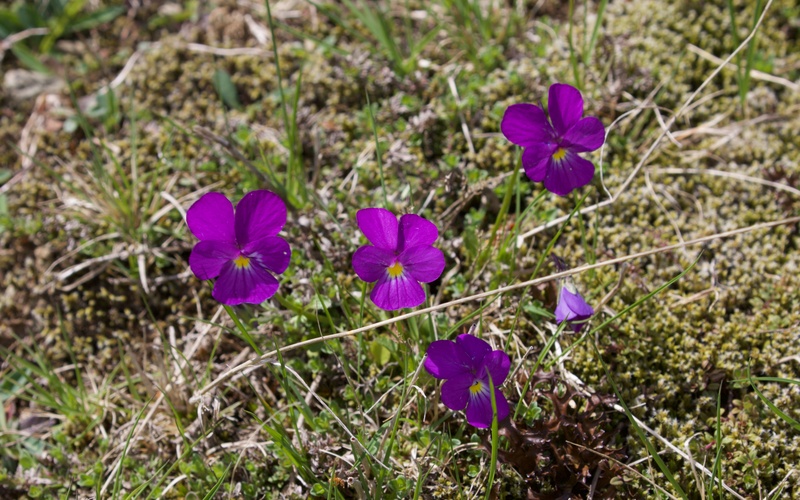 Bright purple Viola calcarata was immediately noticeable. 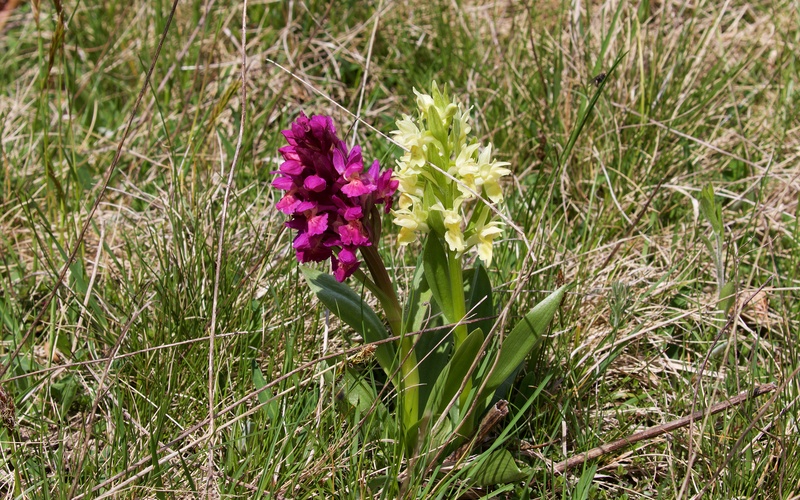 Elder-flowered orchids (Dactylorhiza sambucina) were mostly pale yellow but others were blackcurrant ice-cream purple. 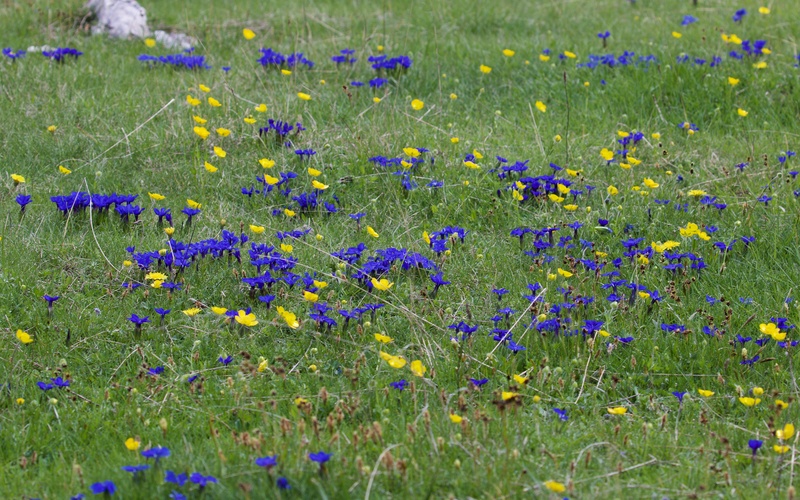 Spring gentians (Gentiana verna) were commonplace and created blue patches on the grey-green grass. A few trumpet gentians (Gentiana acaulis) lived up to their name. 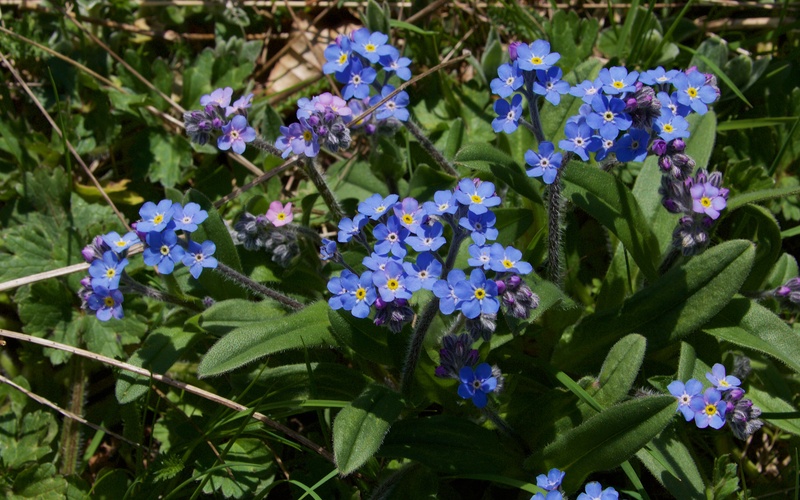 Alpine forget-me-nots (Myosotis alpestris) were clearly and unforgettably forget-me-nots. Elder-flowered orchids looking good enough to eat. 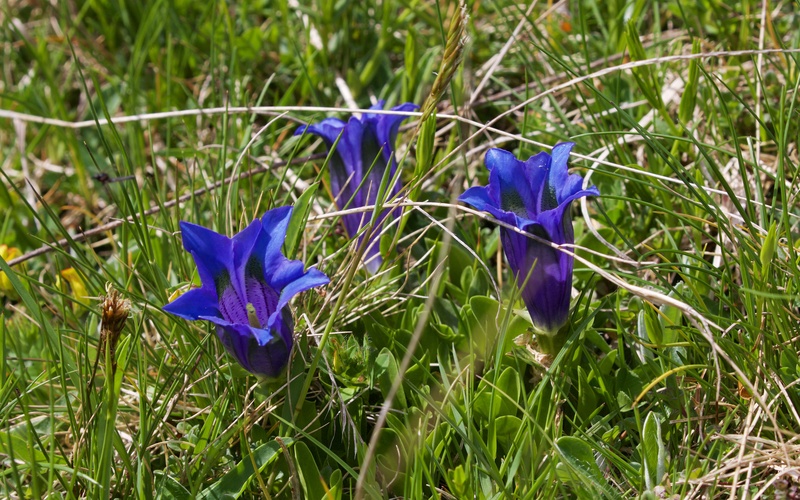 Spring gentians and trumpet gentians. 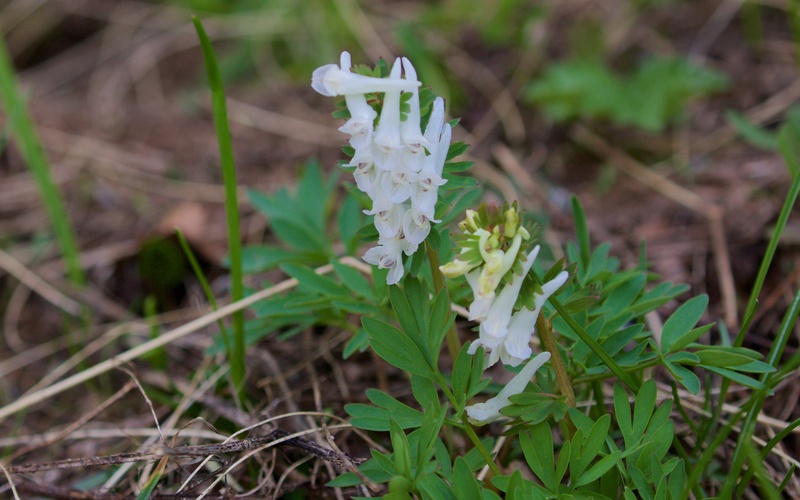 On a north-facing cliff a saxifrage, I think Saxifraga marginata, filled the clefts and cavities and Snowbell (Soldanella alpina) was on the steep bank beneath along with white Corydalis cava. 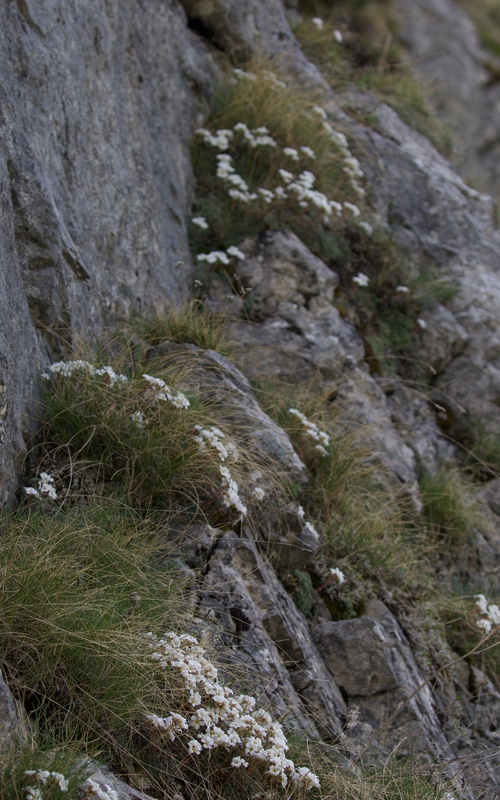 Saxifraga marginata on a north facing cliff. 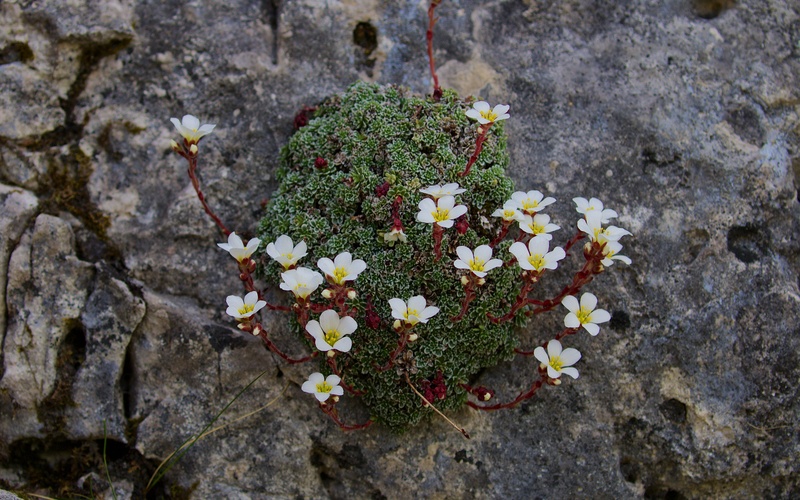 One elegant clump of Saxifraga marginata. 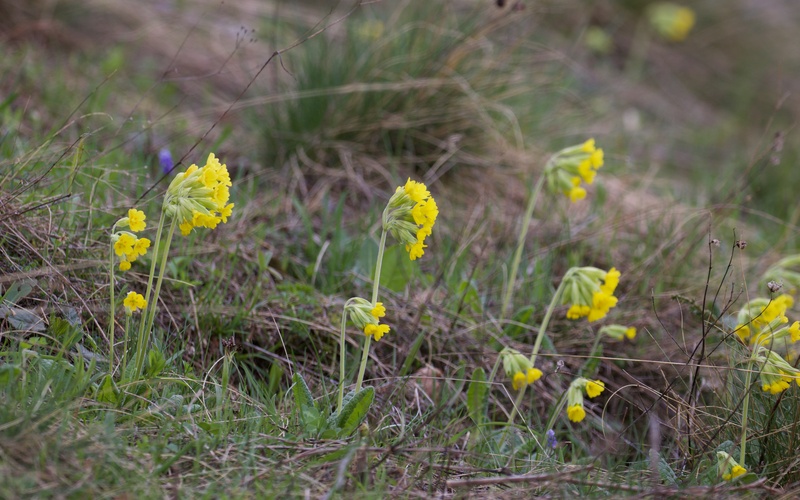 Further down the track, pale yellow oxlips (Primula elatior) dominated the slopes and then custard yellow cowslips (Primula veris). 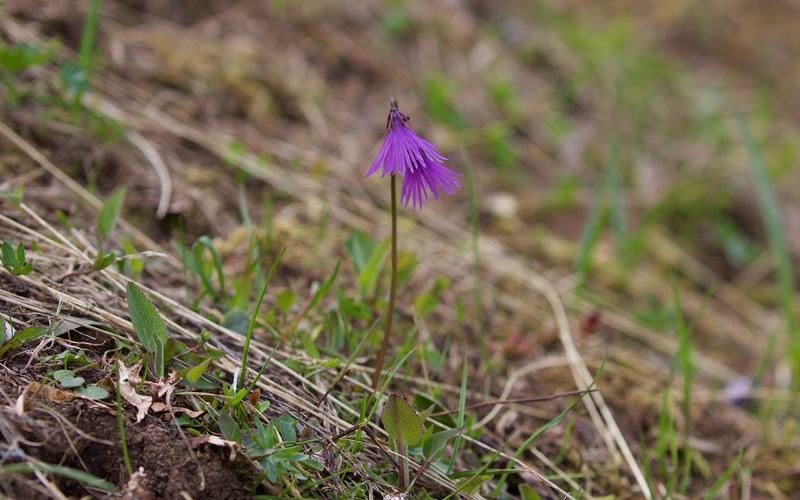 There were no butterflies to be seen all day and the temperature was still cool at this altitude (1300-1500 m) but Spring has arrived in the mountains. 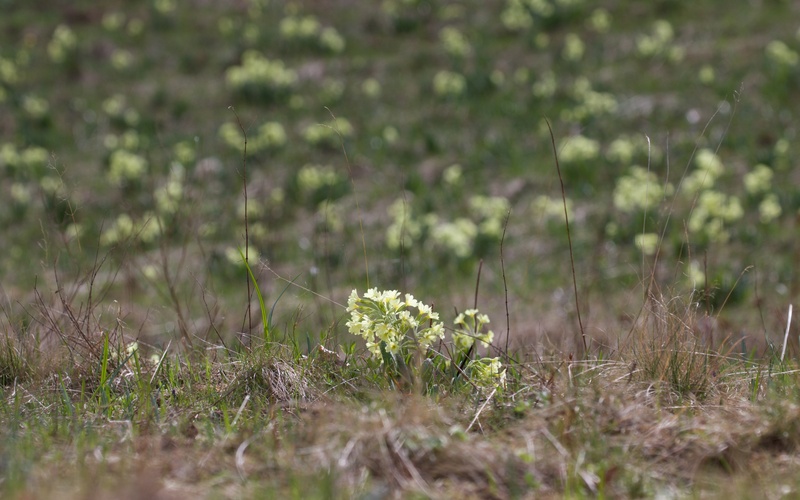 A field of oxlips emerge in the field of dead grass. Steve, what stunning flowers. Montenegro looks like a floral and wildlife paradise! I gather from Paula that the driving leaves something to be desired though ….